I came across a couple of schlep bags a while back and decided to make one. I found a free pattern here from Heirloom Creations. 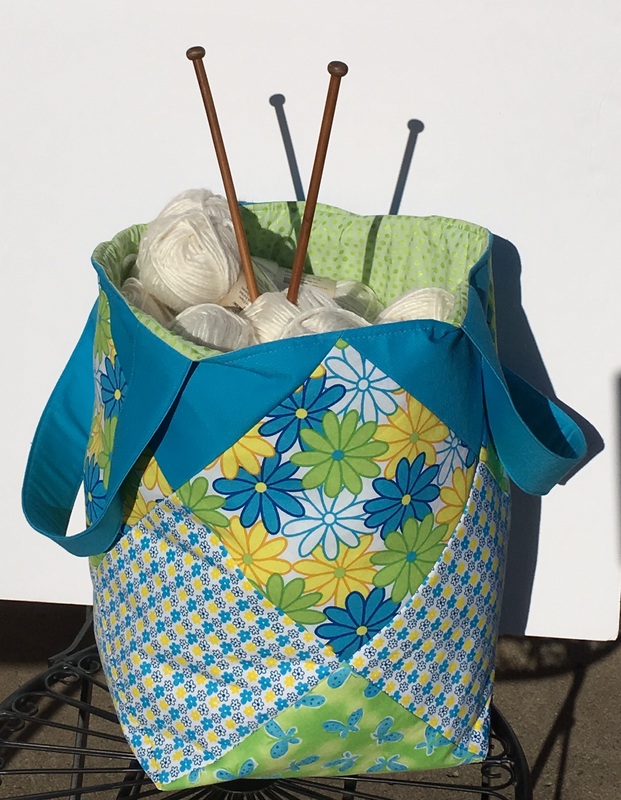 I made the outer bag and the handles according to the pattern from some forgotten fat 1/4’s I had in my fabric stash. But I added the batting to the outer bag instead of the lining. 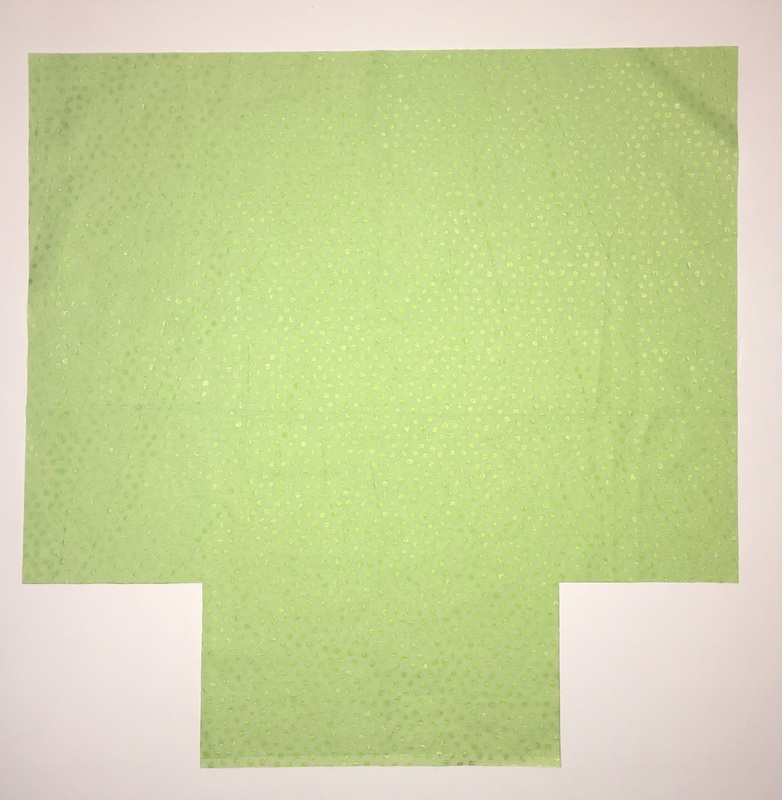 I also didn’t piece the lining, instead I cut out two 20″ squares from cotton fabric. From each bottom corner I cut out a 5″ square. 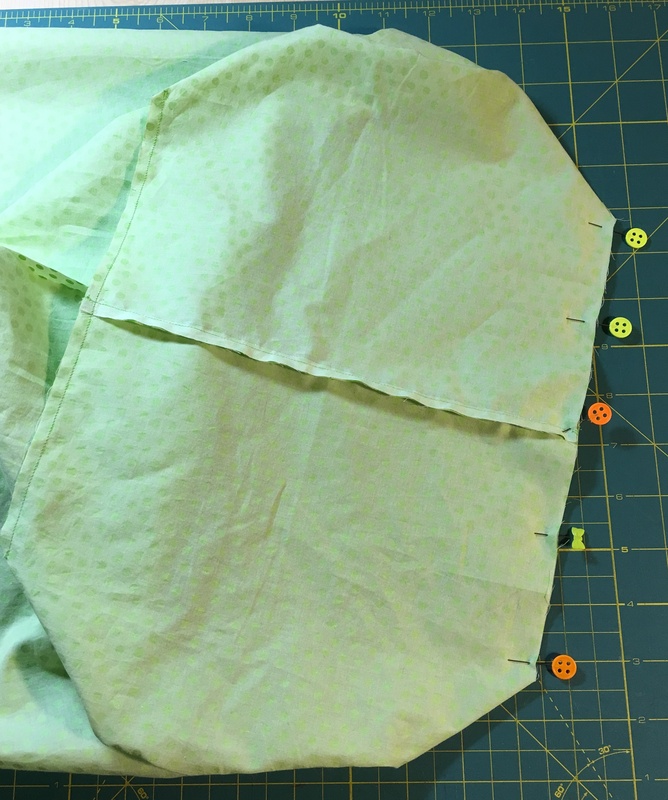 I stitched the bottom and sides together with a 1/2″ seam allowance, leaving a 5″ opening in one of the side seams. Then I “boxed” the bottom of the lining by matching the bottom and side seam, right sides together, in each corner and stitched along the raw edge. Then I finished the bag by putting the outer bag inside the lining right sides together, handles sandwiched between the bag and lining, and stitched around the top edge. 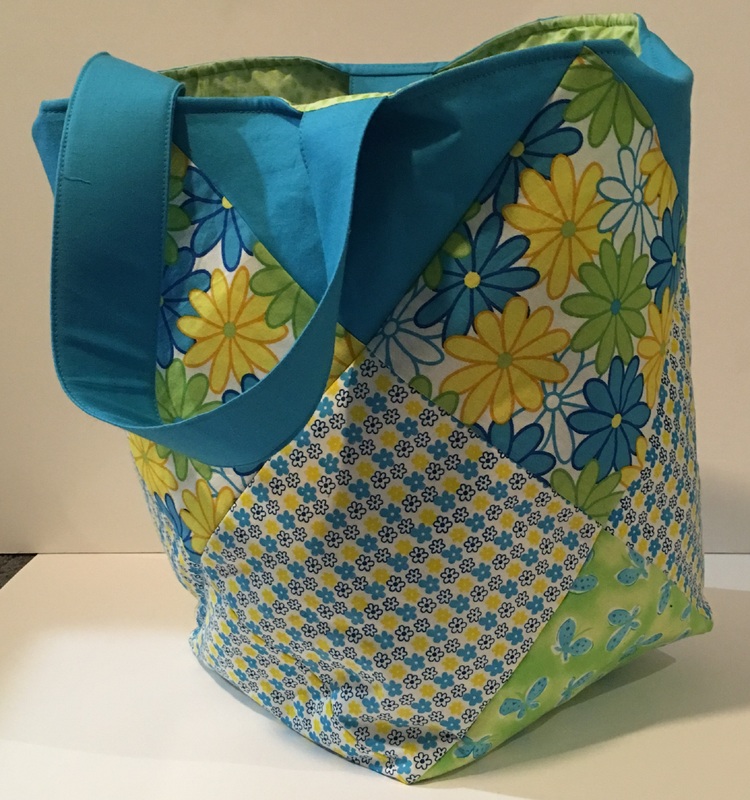 Turned to the right side through the opening in the lining, stitched the opening closed, pushed the lining inside the bag and top stitch 1/4″ from the top edge. It is a generous size bag, works great as storage.